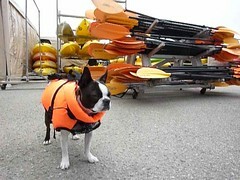 Hank, a Boston Terrier, is getting ready to go kayaking in the Elkhorn Slough Reserve at Moss Landing in the San Francisco Bay Area. Hank is bundled up in his Fido Float . 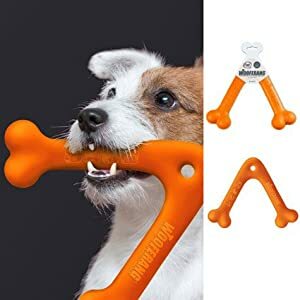 It’s time to get your pet ready for summer. Give Alison a call for a grooming appointment (760) 436-6619. Also remember to keep an eye out for hot spots on your dog’s skin.